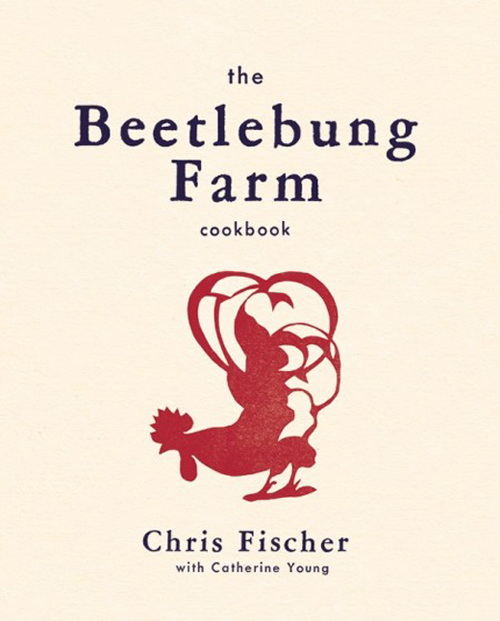 The cookbook is a love letter to his rural roots on this intimate New England island. It is full of warm, family stories. The book is arranged seasonally, so much so that you can almost sense the salty breeze wafting from the pages. The recipes are grouped into a series of menus, which not only affords a template to follow for a full-blown meal, but also offers insight into what’s available when in this region. For instance, the honey pie concludes the menu entitled, “On the Pasture By the Sea.” That menu starts with “Grilled Cabbage Salad with Ricotta Salata and Ground Cherries,” winds its way to “Mussels with Parsley and Garlic,” and leads on to “Slow-Roasted Lamb Shanks with Parsnips.” You can practically taste it all, can’t you? The pie is named for Fischer’s friend, Olivia, a self-taught baker, who wanted to showcase the honey collected from the farm’s hives located under a massive chestnut tree. 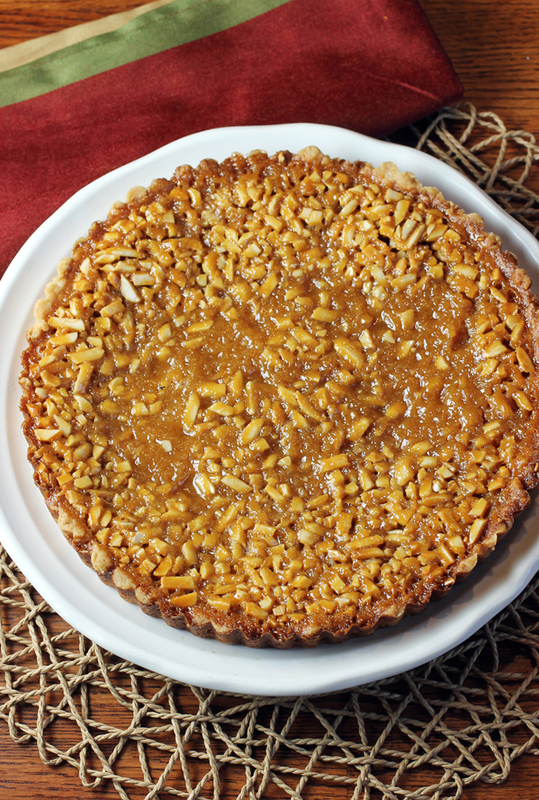 She was inspired by toscapaj, a Swedish almond caramel pie. 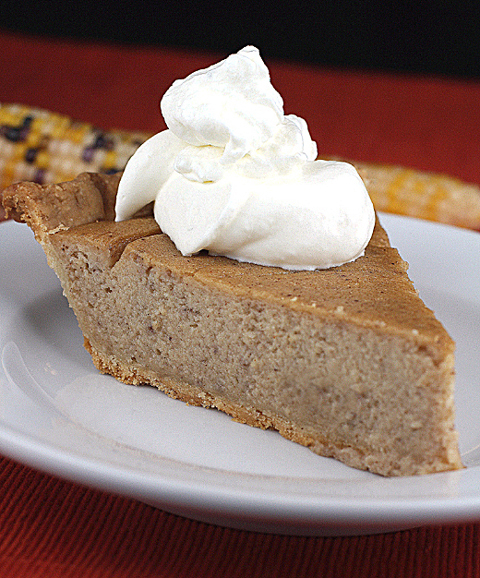 The crust is like a shortbread cookie dough that you need only press into the tart pan. The filling is just honey, sugar, butter, egg, cream and toasted almonds. The only change I made was to advise putting the filled tart on a baking sheet with sides before you slip it into the oven. It may bubble over a bit, so you don’t want to end up with a mess on the oven floor. The pie bakes up with a crisp crust and a gooey, candy-like interior. It needs no other embellishment. 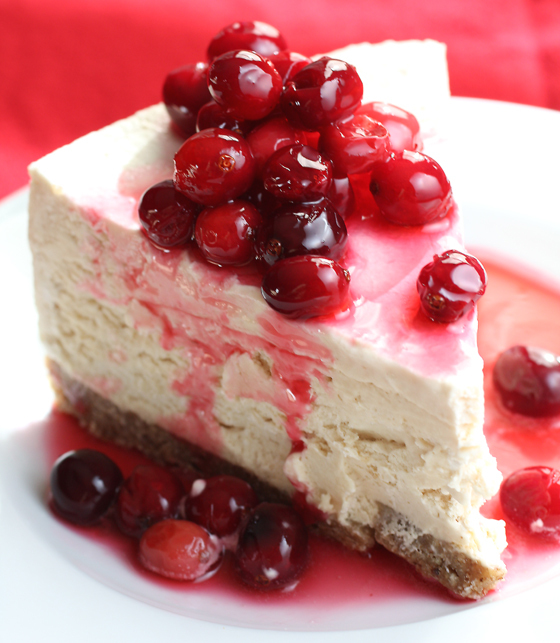 But a dollop of softly whipped cream, creme fraiche or even vanilla ice cream would complement it nicely. This recipe is in the “Spring” section of the cookbook. 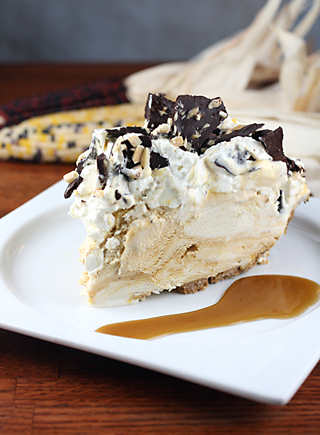 But really, you could make this lovely pie any time of year. And with the holidays beckoning, there’s no time like now. Not a pie full of pecans. But one with almonds. Make the crust: Combine the flour, sugar, and salt in a large bowl and whisk to combine. Using a wooden spoon, stir in the vanilla extract and melted butter. Form the dough into a ball, then press into a 10-inch tart shell. Bake the crust (it is not necessary to weight it) until golden, about 15 minutes. Allow crust to cool. Make the filling: Combine the honey, sugar, and butter in a saucepan and heat over medium until the butter and sugar melt. Simmer the mixture until it darkens and reduces slightly, about 10 minutes. Let cool for at least 15 minutes. When the honey mixture is cool, whisk in the egg and cream. 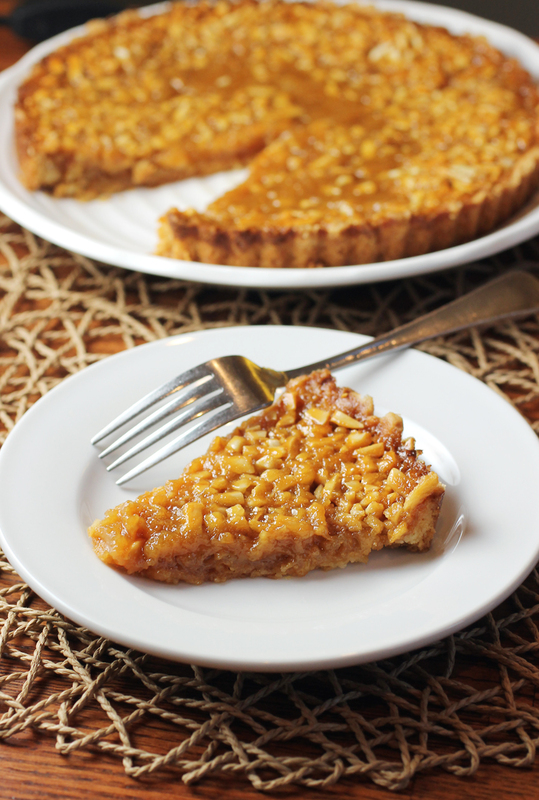 Scatter the almonds over the bottom of the tart shell and then top with the honey filling. Place the tart on a sided baking sheet and bake until the filling is set and a rich amber, about 30 minutes. Cool, slice, and serve.